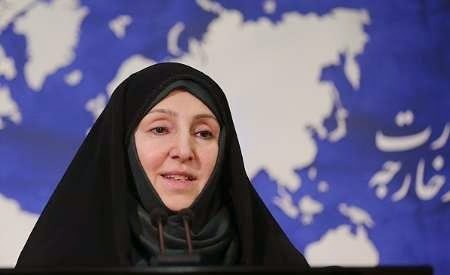 Foreign Ministry spokeswoman Marziyeh Afkham vigorously condemned the savage murder of a captivated Jordanian pilot by the terrorist Daesh group. She termed the murder an inhuman act which did not abide by any Islamic codes of conduct. She further expressed sympathy with the family of the murdered pilot as well as the Jordanian government and nation. She highlighted the share of all countries supporting the terror group which culminated in the heinous crime and stressed the importance of avoiding selective treatment of the issue of terrorism which indicates the necessity of adopting measures to strongly confront all crimes committed by the terrorist groups. The terrorist Daesh group released a video on Tuesday containing images of burning alive the 26-year old Jordanian pilot Mouath al-Kasaesbeh.